Amenorrhea is defined as lack of a menstrual period in women of childbearing age. It is characterized by failure of ovaries to produce sufficient amount of female hormone. In the case of periods are delayed for more than 10 days do a pregnancy test to rule out pregnancy. If you are not pregnant following home remedies for amenorrhea may help you to induce periods. 1. 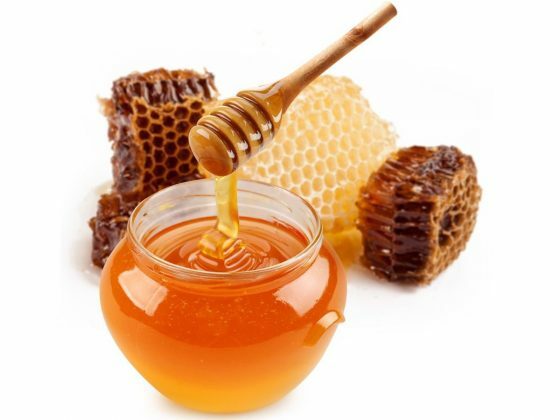 Honey– Honey promote the blood circulation and induces menstruation. You may take a spoon of honey daily of may add it to your green tea. Alternatively, mix a half teaspoon of honey and equal amounts of cinnamon powder in one glass of warm water. Drink this solution daily to reduce weight, promote metabolism and treat amenorrhea. 2. Mint leaves– Grind some mint leaves or add the mint powder to herbal tea or a glass of water and drink it daily. Mint promotes blood circulation and induces menstruation. 3. Flaxseeds- Boil 6 grams of flaxseed in a cup of water and boil it. Add 30 grams Jaggery and an equal quantity of butter to it. Drink this concoction for seven days empty stomach one week before the due date of your periods. 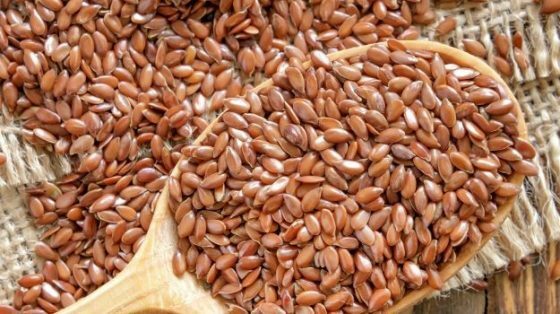 Flaxseed contains lignans, which is a plant estrogen and reduces the level of androgens to treat amenorrhea. 4. Saffron– It contains antioxidants and prevents oxidative damage. It reduces stress and ward off toxins from the body to treat amenorrhea. Take a few strands of saffron and add it to a cup of boiling water or milk. Drink it every day before sleeping. This will regulate the menstrual cycle. 5. Fenugreek seeds- They stimulate the uterus. Soak a few fenugreek seeds at night in half cup of water. Strain the water in the morning and drink it for a few days to induce menstruation. 6. Aloe Vera– It stimulates the ovulation. 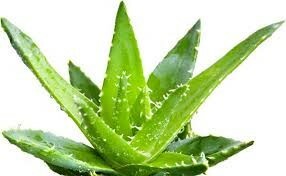 Dilute 15 to 20 ml of Aloe Vera juice in a cup of water and drink it 2 times daily to treat amenorrhea. 7. Foods rich in vitamin B6- The Wheat germ, papaya, Tuna fish, Garlic, Pistachio nuts, ground turkey, Bran Rice, Chicken breast contains vitamin B6.They reduce the level of prolactin hormones which are usually high in women suffering from amenorrhea. 8. Unripe papaya– It contains Papin enzyme that increases the body temperature, promotes the rate of metabolism and induces ovulation, Maintains body fluid thus treats amenorrhea. You may eat a bowl of cooked unripe papaya. 9. Iron rich foods– Raisins, broccoli, parsley, spinach, Jaggery and green are rich in iron. Eat these foods to treat amenorrhea caused due to iron deficiency. 10. Ginger– It increases body temperature, promotes metabolism, induces ovulation and stimulates the secretion of enzymes that treats amenorrhea. Grate ginger and add it to boiling water. Steep it for a few minutes. Now strain it and drink it. Ginger also aids digestion and is anti-spasmodic. Do not have more than 4 grams of ginger in a day. Also, consult your doctor before taking it if you have heart problems or bleeding conditions. Above mentioned home remedies to treat amenorrhoea are safe and used since old times to cure amenorrhoea. If above remedies don’t work and you miss 3 consecutive periods in a row, do consult your doctor.